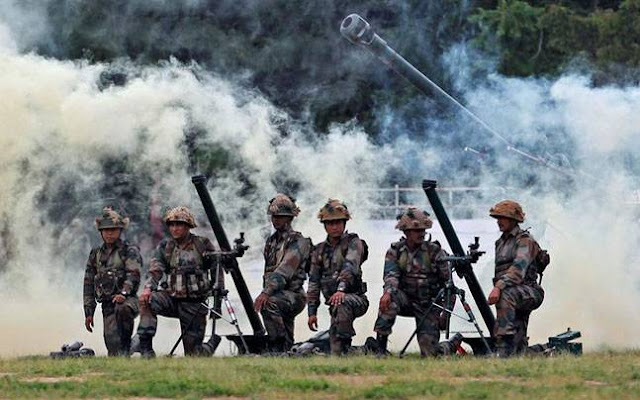 PTI | Shillong : Parakram Parv was observed on Saturday here to mark the second anniversary of the surgical strikes carried out by the Indian Army across the LoC in 2016. Various types of equipment, weapons and emergency medical support system used by the Army were displayed for the visitors at a function organised on the occasion. Gorkha Training Centre and Assam Regimental Centre displayed their band performance for the visitors which included former Army personnel, school students and civilians. Inaugurating the function, Brigadier Ajay Tewari, (Sena Medal) said that such programme is for the youths to get inspired and join the forces. It will also give motivation to the public and get a sense of pride that the armed forces are capable of many more things than just protecting the country, he added. He said that the diverse communities of the North East has been an integral part of the defense forces and have contributed so much for the country. The Brigadier said the day is observed the theme Know Your Army. Wing Commander Ratnakar Singh said that the day is celebrated in 51 locations across the country to commemorate the second year of the surgical strike conducted by the army along the LOC. Shillong : Parakram Parv was observed on Saturday here to mark the second anniversary of the surgical strikes carried out by the Indian Army across the LoC in 2016.